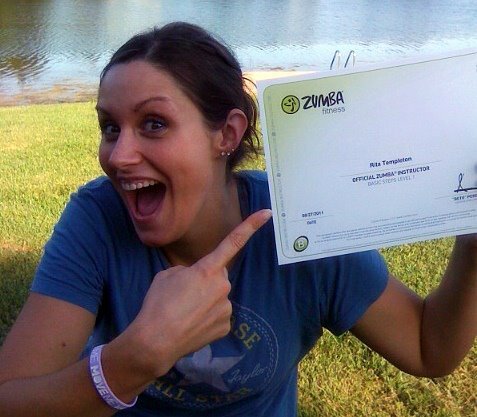 This month marks my fourth year of being a licensed Zumba® Fitness Instructor. See how happy (and, all right, slightly crazed) I looked on the day it became official? We definitely recognize you, even if we don’t remember your name. We make it a point to try and remember the names of as many people as we can – our entire classes, if possible – but with the volume of people that come in and out over time, it’s super-difficult. So if we mess up your name, please don’t think we’re huge, self-important jerks. We try … sincerely. We like requests. Sometimes it’s hard for us to gauge which songs people are still crazy about, and which ones need to be retired for a while. When you request a certain song, it lets us know what you enjoy, and we’re all about making our classes happy! Similarly, don’t be afraid to tell us if there’s a song you don’t like. We can’t promise you’ll never hear it again, but at least we’ll know not to play it as much when you come to class. Constructive feedback is always welcomed. We look to you when we forget stuff. Our brains are valuable databases where we store our routines – but sometimes there’s a glitch and we straight-up forget what comes next. Luckily, there’s always someone in the class who's got their stuff together better than we do (at least momentarily), and you remind us of the next move - so thanks! We want you to make noise! If you’ve been to any group fitness classes, you know that some days are high-energy and some days aren’t. 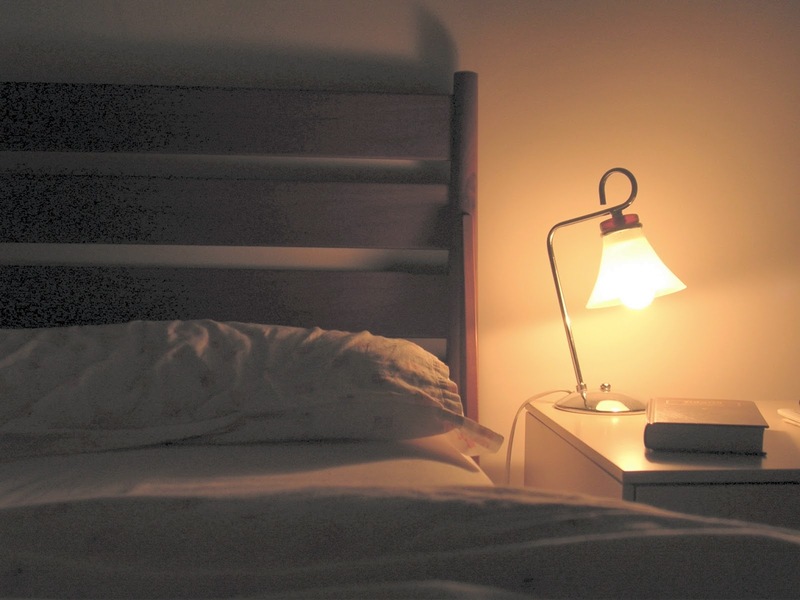 The secret to those high-energy days? NOISE. Enthusiasm. We’re having fun! It’s totally fine (welcomed and appreciated, even!) to throw in a “wooo!” or a “yeah!” or whatever exclamation comes to the surface. Those whoops and hollers let us know that you’re enjoying yourself, which in turn bolsters our confidence and energy levels. We all feed off of each other’s energy, so don’t hold back – because others will follow suit, and it’ll be a better class overall! We’re genuinely glad to see you. We love a packed house. We love that, of all the things you could be doing, you chose to spend an hour with us. We love to see that you like our classes so much, you’ve brought someone along to share in the fun. We love that our classes foster friendships. We appreciate good etiquette. As instructors, there’s little more frustrating than needing to make an announcement and feeling like you’re yelling into an abyss where nobody can hear you. It makes us happy when you’re comfortable enough to chat with each other before class, but – much like your teachers in school – we wish you’d give us your ears when we start talking. We’re not critiquing your performance (and neither is anyone else!). 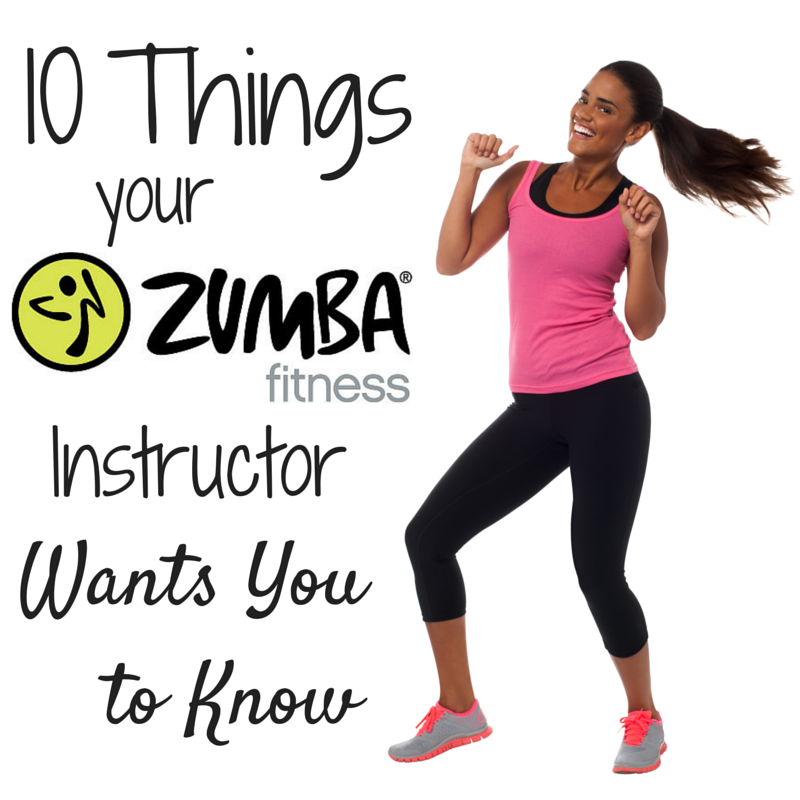 There are two main goals in each Zumba® class: have fun, and keep moving. If you do those two things, who cares what you look like while doing them?! Besides, nobody’s even watching anyway – we’re all too focused on our own moves (instructors included!) to pay much attention to anybody else’s. … But we do notice your progress. One of the great pleasures of being an instructor is seeing our “regulars” blossom. Maybe you started in the back of the room and have slowly gained the confidence to move up to the front row. Or maybe you’ve dropped some weight, or you’ve gone from shy, shrinking violet to the life of the party. We notice! And though we may not say anything, we’re so proud of your progress, and so happy to be a part of it. We’re inspired by you. Once in a while we’ll notice someone putting their own spin on a move and think, “That’s brilliant!” You come up with modifications that we’ve never thought of, and sometimes they’re better than the original choreography! Bottom line: you make our lives better, and we benefit from your presence just as much as you benefit from ours! It's sooooo much more than just a good workout. ... But you already knew that, right? Oh my god... i love zumba. And something the participants want our instructors to know is all we do is pray we don't fart when the music suddenly goes silent. Zumba really does foster great friendships, even if all you're able to do is flail around wildly on the back row! Zumba is fun. I've done it a couple of times. I have no rhythm, but I stay moving the entire time. So simple, but always reassuring to hear. Like, I knew everything you were saying, but I just wanted to make sure it was cool with you too. Thanks for the inspiration! Long time reader, first time commenter... :) You inspired me to try Zumba when I was struggling to lost the leftover baby weight. I started going in February(I was so nervous to be going by myself!) and have been going ever since. It is truly the highlight of my week some weeks, and it is all because of you. So, thank you! I tried this once but I was a hot mess! There's not a Zumba class on this planet where everyone at the class are on and poppin! Zumba is for EVERYONE - so the vast majority of people in that room with you are also non dancers! It takes four classes of commitment. Go four times. Trying it once isn't giving it a fair shake because literally no one knows what they are doing in the first class - including me. Now I've been an instructor for six years. In my opinion, one of the most important benefits of Zumba is, of course, the spectacular weight loss his new fitness craze can bring. This extremely fun workout incorporates a lot of routines that will improve your cardiovascular system, which is extremely helpful in your fight to lose that unwanted weight. Also, the average person will burn around 600 to 1000 calories in a Zumba class. Pretty much sums it all up! :) From one ZIN to another, this was a great read! Thank you for putting it out there! Love this and I am sharing! Love this! It so catures what I want to say. I'm sharing too! Fantastic post! You are amazing for stating so well what we all hope our participants understand. :) Keep on dancing! When your life changes in every way because of Zumba and most specifically because of your Zumba instructor, its priceless. Also, when your Zumba instructor is the most amazing person and has the most amazing combination of talents to make Zumba a magical time, its even more priceless. I could go on for hours here, but she has to be known to everyone, because she truly is the wonderwoman of zumba! all so true, may I ask your permission for me to translate this in to German and post in my Zumba class WhatsApp groups ? Hi Rita!! I loved it. May I translate do portuguese ans share if my community? I appreciate it. Perfectly said and so true. I just started your classes at the Sandusky Y and I love it. Your humor and energy inspire me to keep moving. All of my Zumba classes have been a great way to make new friends, get healthier and have fun at the same time. I'm 72 so you are never too old! LOVE my Zumba instructor, the music she chooses and the dance. This is my first experience with Zumba. I've always been an outdoor enthusiast, running, hiking, biking. Now that I am older, many of my friends have encouraged me to try Zumba. My teacher, Jenni, is incredibly rhythmic and sets an awesome pace. I LOVE IT! I agree 100 percent! Thanks.